Sorry to the who were excited and congrats to those not so excited, Amazon has bypassed Austin in favor of Northern Virginia and New York City for the e-commerce giant’s new corporate headquarters. Also, in a surprise move, Amazon has picked Nashville for an operations center. Both Austin and Dallas were among 20 finalists for Amazon HQ2, a project initially billed as a second headquarters for Seattle-based Amazon. In the past few days, however, the company opted for a surprise switch, divvying up its second headquarters between two places. That seemingly transformed the multibillion-dollar project into HQ2 and HQ3. Matt Curtis, founder of Austin-based consulting firm Smart City Policy Group, says that over the past two months, he’d been led to believe that Austin and Dallas were among the five finalists for the HQ2 project. Economic development officials in Austin and Dallas put Amazon’s November 13 rejection of them in a positive light. The two cities were the only Texas finalists for Amazon HQ2. As Opportunity Austin 4.0 — the initiative’s fourth iteration — gears up to launch in January 2019, officials see more corporate relocations and expansions on the horizon. "Amazon already calls our region home. It has created thousands of jobs here with Amazon Web Services, the fulfillment center in San Marcos and, just last year, it acquired Whole Foods [Market]— a true Austin original,” Opportunity Austin said. Curtis, a longtime fixture in Austin’s political and economic development circles, says he’d hoped Amazon would add 5,000 to 10,000 HQ2 jobs in Austin. But it’s “not the end of the world” that Austin didn’t land a piece of HQ2, he says. “Austin should continue to do what we do best: to grow our economy effectively for all our residents while maintaining the culture and character of our great city,” Curtis says. To grow effectively, though, Austin does have some work to do, according to Curtis. For its part, the Dallas Regional Chamber, which led the region’s pitch for Amazon HQ2, sees benefits from its unsuccessful but “comprehensive and compelling” bid. On November 13, Amazon said it had settled on dividing its new corporate offices between Northern Virginia’s Crystal City neighborhood, just outside Washington, D.C., and Long Island City, a neighborhood of New York’s borough of Queens. Amazon plans to add more than 25,000 jobs in each location. In conjunction with the Amazon expansion, Crystal City is being rebranded as National Landing. See official announcement here. In all, 238 communities in North America submitted HQ2 proposals. 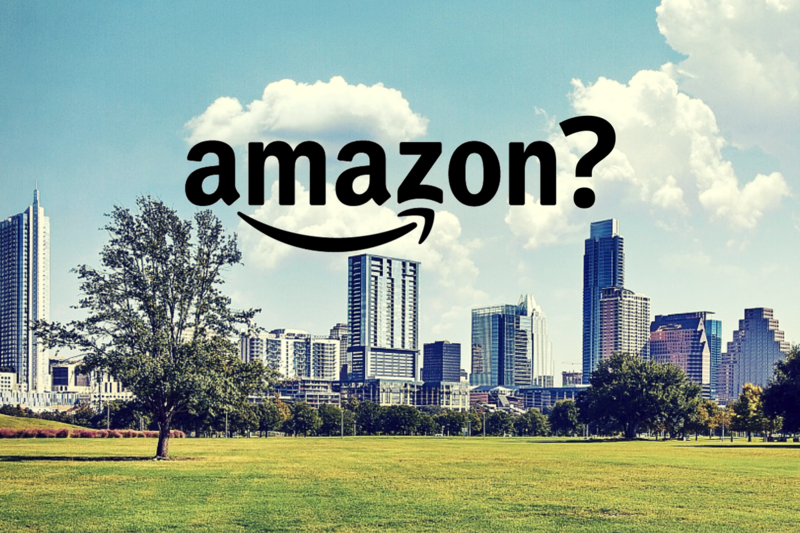 In January, Amazon narrowed the field to 20 finalists, including Austin and Dallas. Houston didn’t make the final cut, while San Antonio ended up not making an HQ2 pitch. Off and on, both Austin and Dallas rated highly among some HQ2 prognosticators. But as Amazon’s self-imposed, end-of-2018 deadline to reveal its selection drew closer, Austin and Dallas fell out of favor in the eyes of many HQ2 forecasters. AOL co-founder Steve Case, who lives in the D.C. area, issued a statement of encouragement aimed at the HQ2 finalists, including Austin and Dallas, that weren’t chosen by Amazon. Last updated April 24 at 10:01 pm.